As anyone might know from the sporadic hits that this blog receives I am quite the Kirby fan. I recently took All of my Original Kirby comic book issues and consolidated them into one short box, just because that’s why. One short box as there is a lot of his work out there and I couldn’t possibly collect it all mostly because I don’t have the financial means to collect it all. 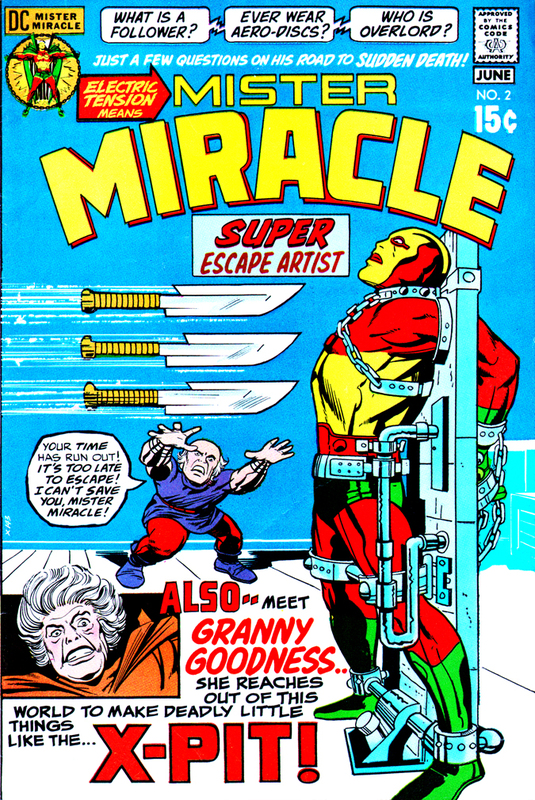 However I do have a few “reader copy” issues of Mister Miracle. Also known as Scott Free, he is the son of Highfather; in an attempt to broker a lasting peace he is exchanged with Darkseid’s son Orion of Apokolips. Scott escapes to Earth and adopts the guise of Mister Miracle from an old circus escape artist and gains a sidekick,Oberon, and a wife, Big Barda (another Apokolips escapee). He has adventures on Earth, some in the Fourth World, does a stint in the Justice League and generally has a very intermittent publication history. Jack’s plan all along, when he went to DC in the early 70s was to start a series, stay on it a year or two and then hand it off to other creators. Maybe this was due to his long stints on Fantastic Four and Thor at Marvel, maybe because he had so many ideas that he wanted to get to; either way it is in that spirit that I approach this new DC maxi series by writer Tom King and artist Mitch Gerads. King gets it and I think it is appropriate that a guy named King is doing some of the best work on one of the King’s characters. I think Kirby would have loved that take on this as Cosmic Mythology is a recurring theme throughout his career. The captions are very Kirby, King and Gerads, © DC Comics. Now the art by Mitch Gerads is great, emotive and restrained and detailed with a less is more vibe. His art seems so confined in the nine panel layout that they are using but that works, it adds to the psychological tension. It is frenetic and constrained, free and itchy, beautiful and disfigured and as anti-Kirby as you can get. A house call from Orion by King and Gerads, © DC Comics. This thing is trippy, mind bending stuff, dark and poignant. I read a lot of comics and I don’t say this often but this gets under my skin, it elevates the art form. 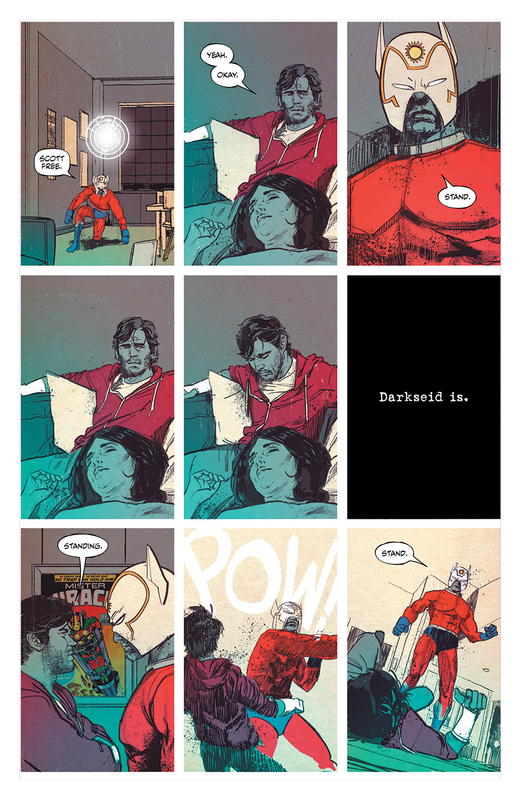 Issue one turns the Mister Miracle and New Gods/Fourth World ideas inside out, issue two takes no joy in the Orion’s war, issue three breaks the narrative brilliantly and four is infuriating as King and Gerads’ Orion comes across like a clueless and corrupt politician who is showing us that he is his (true) father’s son. I think The King would approve of King’s take as he is taking the ideas and themes of power, good vs. evil, free will; and running with them. I was only going to get issue one and “wait for the trade” but I am all in every month. As it reads right now it’s like reading the Holy Bible one book a time. Maybe that is why this is succeeding where the recent Hydra Cap failed. 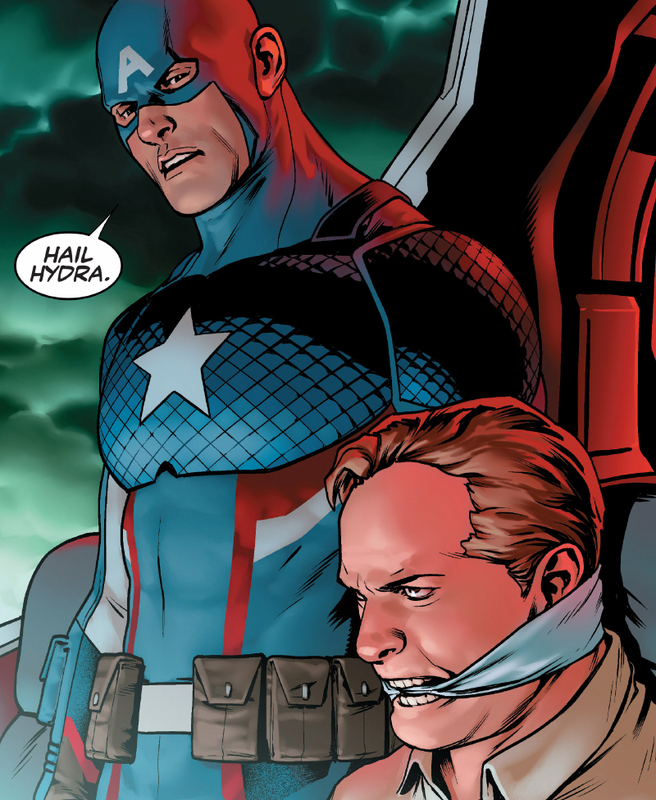 They made Cap a Hydra agent but didn’t say anything about it. Marvel could have made a clever narrative about idols and corruption and redemption but it was just a stunt. One of the the things that Mister Miracle is saying, an original theme of mythology, is that the gods are petty, greedy and generally fucked up.